The Ascot Volunteer Bureau (AVB) was opened on May 8th, 1981. It was started by Anne Butler-Smith, employed by Bracknell Council to kickstart voluntary organisations in the area. It was perceived that there was a need to provide assistance to the older residents of Ascot, North Ascot, South Ascot, Sunninghill and Sunningdale, primarily – though not exclusively – providing transport to medical appointments at a GP surgery, hospital, dentist, physiotherapist, chiropodist, et cetera where individuals, for one reason or another, were unable to get to their appointments. Other assistance that was provided in the early years of its existence included help with filling in forms, gardening and sewing. 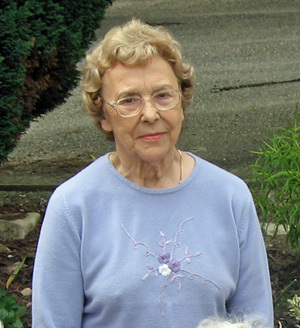 June Martin, a retired pharmacist and resident of Sunningdale, was involved from the beginning, becoming chairman in 1983. This was far from being her only contribution to voluntary work. 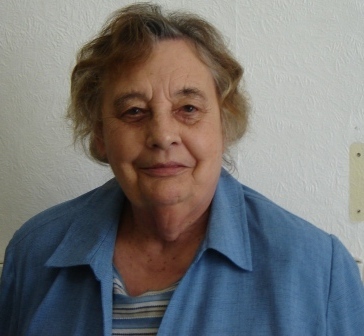 She was chairwoman of the Ascot Day Centre for the elderly (now President for life), was involved with a carers’ support group, and co-chaired a local development group for Windsor & Maidenhead Social Services plus a carers’ forum for Bracknell Forest Council. In the year 2000 June was eventually awarded an MBE (Member of the British Empire) for her voluntary work. Margot Carpenter joined the AVB in 1984. She and Sydney Hurley, acting in joint capacities, took over from Joyce Pemberton, the original Coordinator. Margot eventually became the sole Coordinator several years later. Margot could often be found in the office in South Ascot Church Hall, manning the telephone, taking transport requests from clients and ringing round our volunteer drivers to see who was available to fulfil the request. She also handled the inevitable administration functions that come with such a role, and acted as a driver. June Martin perceived a need to fund some remote control alarms for the elderly. The first alarm – more usually called a lifeline – was made available in 1987. This was extended in 1989. 3 lifelines are currently provided. The number depends on the demand and on available funding. June eventually stepped down from the role as chairman in May 2009 after 29 years service, being replaced by Janet King. She remained on the AVB committee until 2012. She continues to be heavily involved with the Ascot Day Centre. Margot followed June into retirement in August 2010 although she continued to be a member of the committee for a short time afterwards, as well as acting as an occasional volunteer driver for several years. Her long and invaluable service to AVB and the local community was recognised at The Royal Borough of Windsor and Maidenhead Volunteers for the Year of 2010 Awards when she was joint runner-up in the over 50s category. Margot was succeeded as Coordinator by Eileen Hayward in September 2010. She was succeeded in turn by Joan Abson in September 2012. Joan filled the role for two years. Eileen subsequently returned as Acting Coordinator until John Thomson took on the role in November 2015.